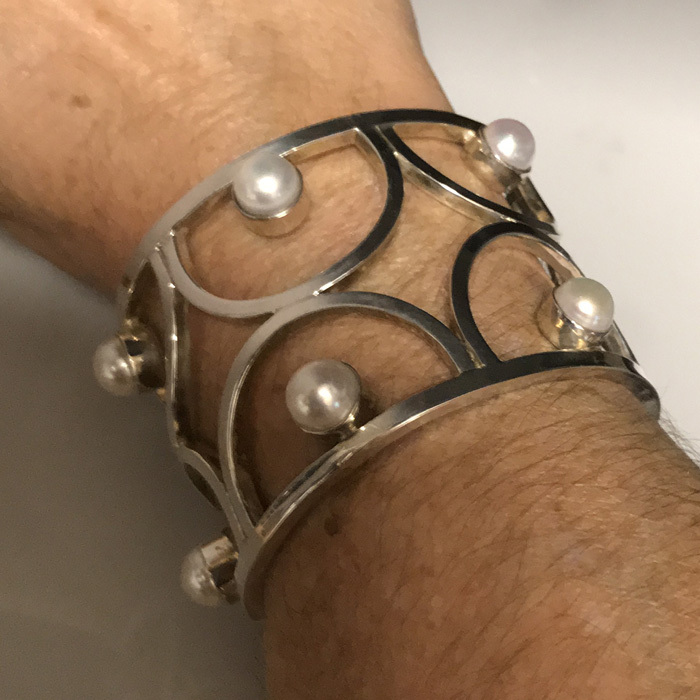 Modern Classic Jewelry - This is a handcrafted sterling silver statement cuff bracelet that features eight White Pearls. 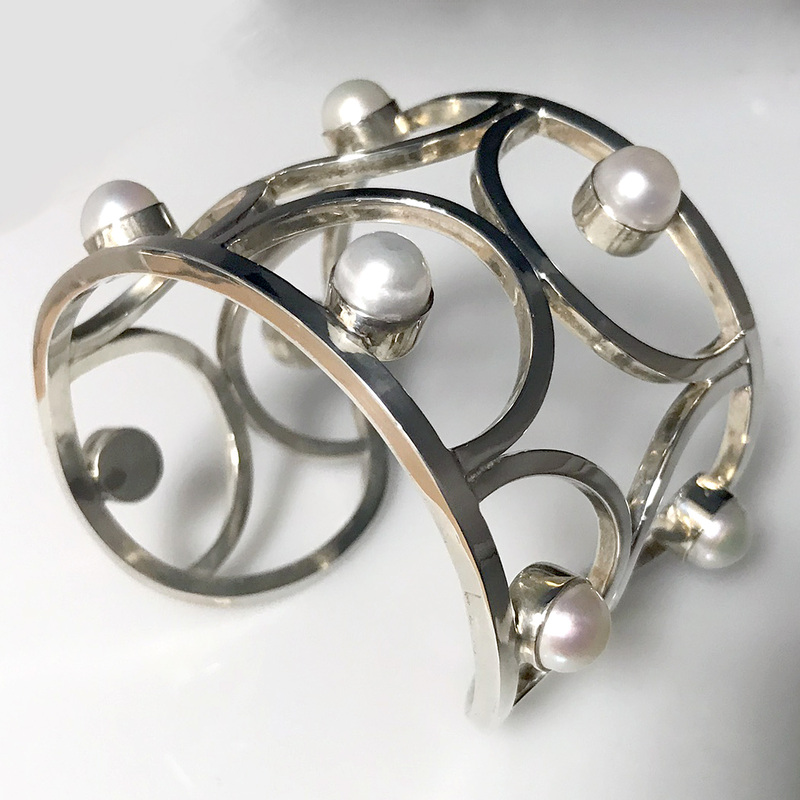 This unique designer cuff is designed to slip on and to fit somewhat snug on the wrist or arm to avoid the bracelet from turning. 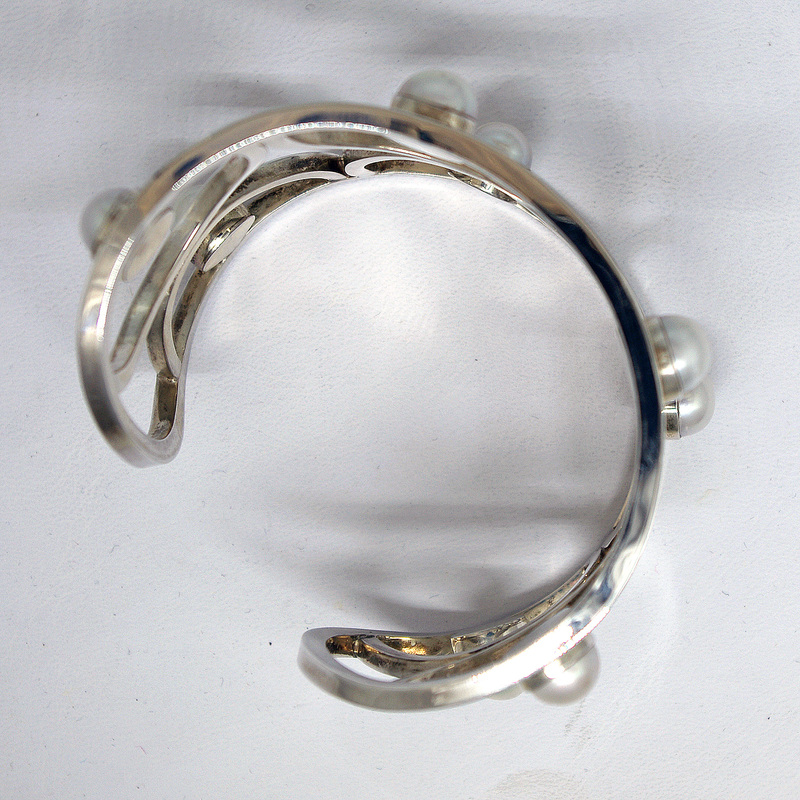 From our Modern Classic Collection, this is a handcrafted sterling silver bracelet that is a play on the classics. 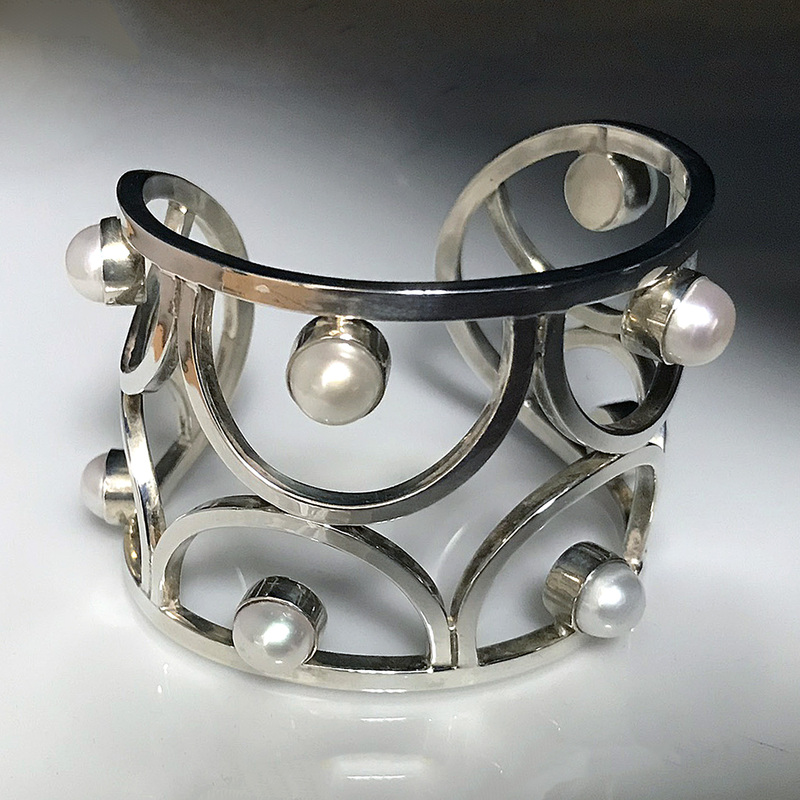 The statement cuff features eight White Pearls (depending on bracelet size will have more) that are set in sterling silver bezels.The cuff bracelet is constructed from square sterling silver tubes formed to make half circles and soldered within a sterling silver frame. 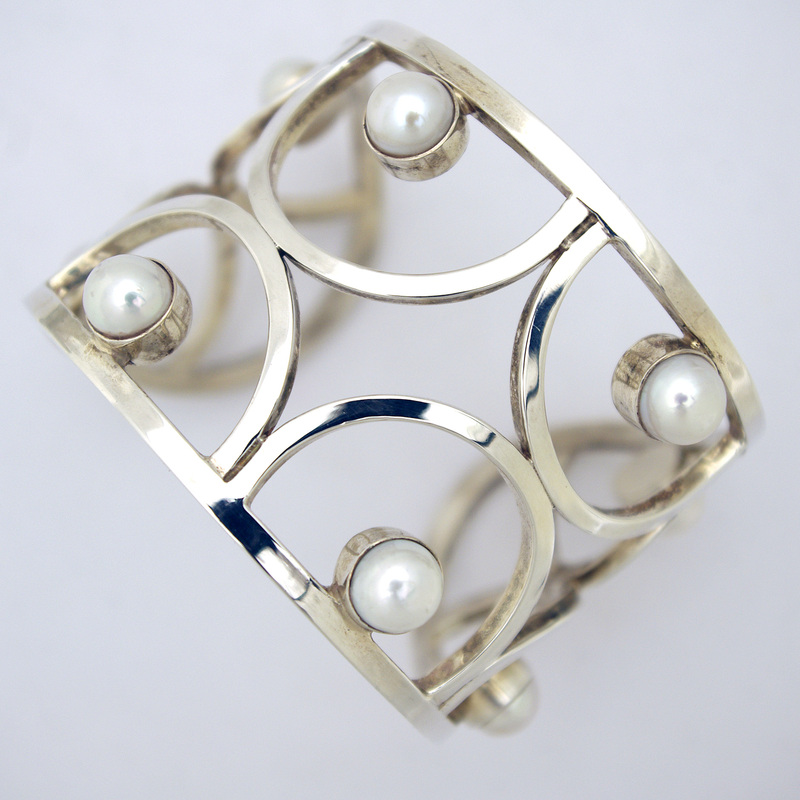 This bracelet in designed to slip on and to fit somewhat snug on the wrist or arm to avoid the bracelet from turning. The Bracelet is approximately 2" wide. The Pearls are approximately .33" wide (8.5 mm). The Bracelet is a slip-on without a closure. We accept custom orders for different sizes and stones.